« Oh dear! How tragic! I finally have all my photographs in hand, or on disk rather. 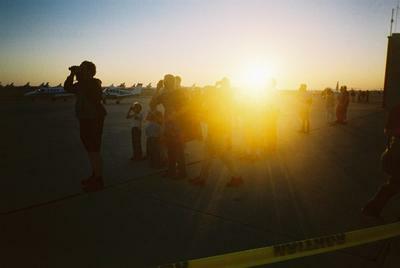 As promised, here is the behind the scenes photo story (via a small fixed lens film camera) of the people and the historic event they came to celebrate. 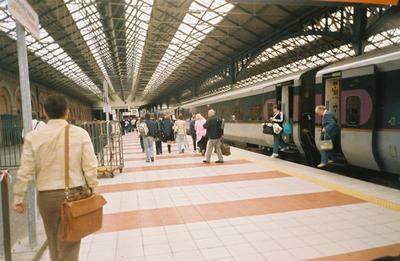 The first leg of my journey from Belfast ended at Dublin Connolly Rail Station. 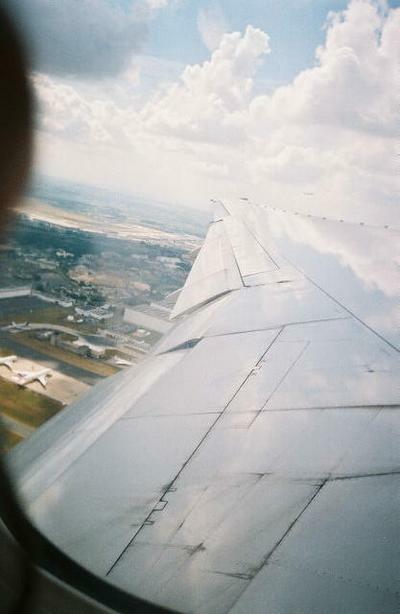 After a night of revelry with some Dubln based musicians I flew to Los Angeles by way of Charles deGaulle Airport. Might Dissident Frogman have noticed disturbance in the Force as a Samizdata Editor flew over France? 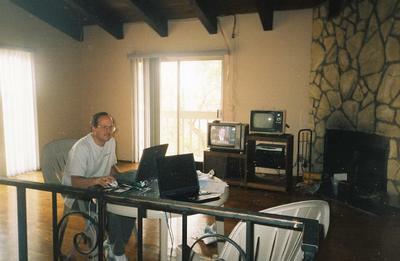 The contents of the house in Redondo Beach have gone elsewhere but Rand Simberg still managed the network connections and 24 Hour News Feed necessary to the health and well being of bloggers. 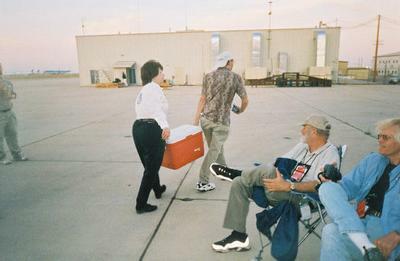 Aleta Jackson got stuck with the job of keeping us all fed and watered… as well as helping co-ordinate event staff all over the airport. How many rocket scientists does it take to put out a burning barbie? 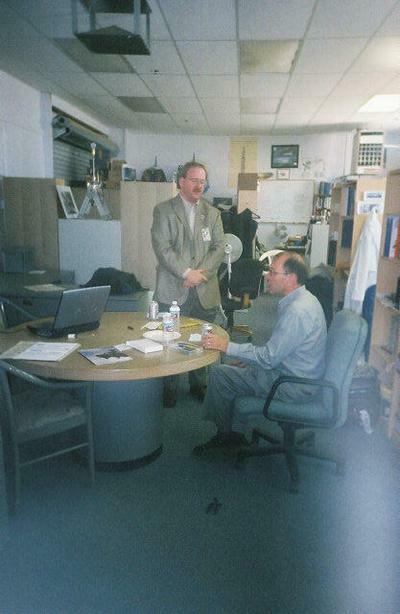 Dr Pournelle is outstanding in the field… and you knew he was there long before you could see him. 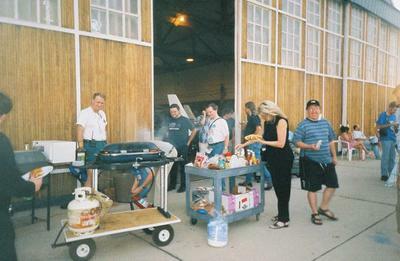 A long shot of the XCOR barbecue. I understand it went on much of Sunday, although Rand and I did not arrive until evening. 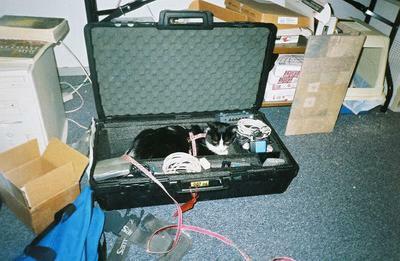 Mouser, the XCOR hangar-cat, decided a padded equipment box was just purrfect for sleeping through the territorial invasion. 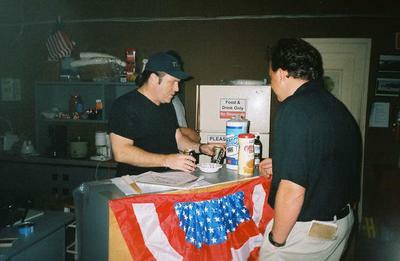 Rick Tumlinson of Space Frontier Foundation (and MirCorp fame) was caught in the act of bartending at the XCOR hangar. 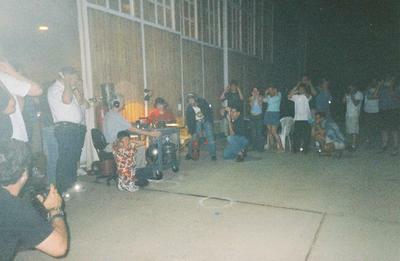 XCOR did their party piece: a teacart engine firing just after dark. 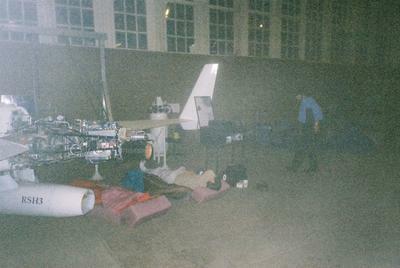 The XCOR Shelter for Homeless Rocket Scientists. Besides myself behind the camera, Rand Simberg of Transterrestrial Musings is to the left; Michael Mealing of RocketForge is in the centre; and I have not a clue who the laptop wielding person to the right is. 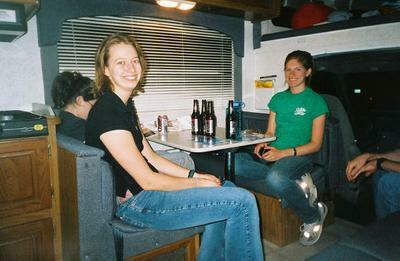 Meanwhile over at the National Space Society (NSS) RV’s… Bethany lights up the camper. 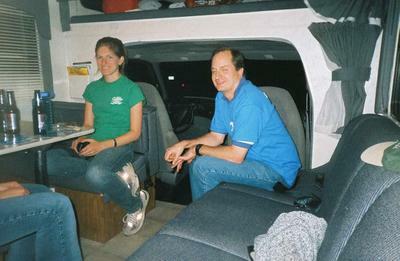 Randall Severy, sitting at right, is the current NSS Hero of the Revolution for helping recover the NSS membership database (don’t ask!) and is also one of the key people in the Artemis Society and Moon Society. Meanwhile outside, the DJ plays music in the wind-driven sand. It was 2004. It was loud. 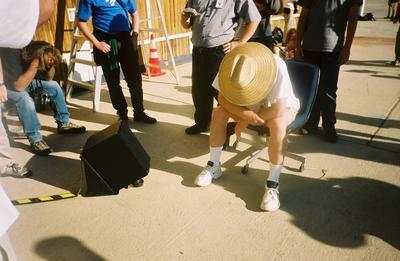 “If it’s too loud, you’re too old”, as we say in the music biz. 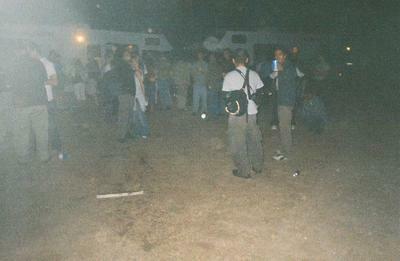 A shot of the midnight crowd. The haziness and blobs are due to the sand. There was plenty of food and kegs of beer outside so I am quite sure I brought a wee bit of the Mojave back to Belfast with me. 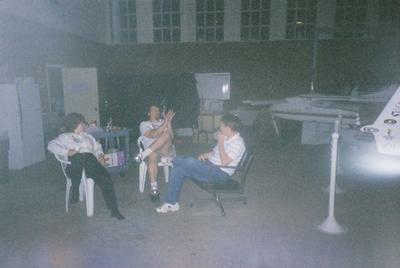 Aleta was at her post in the hangar when I returned from the NSS and SFF party and as far as I know did not get any sleep until Monday afternoon. 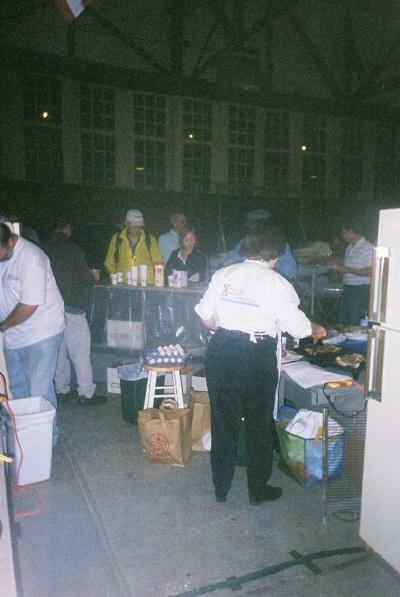 Aleta and other XCOR staff served bacon and an “egg-like substance” (as the person frying the eggs labeled it) starting around 0400 or earlier. 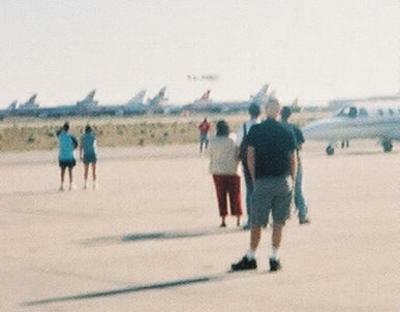 Yes, someone really did sleep under the wing of a rocket plane! 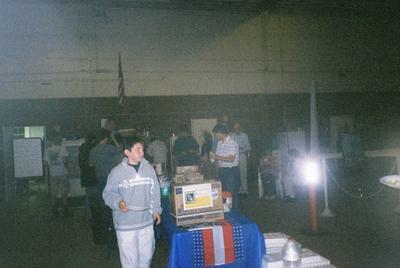 There were lots more than the fried stuff on the hangar breakfast serving line. Lovely strawberries, other fruit… and most importantly: good coffee. Aleta wills the bacon to fry faster. Dawn’s first light. Cue ‘Top Gun Anthem’. 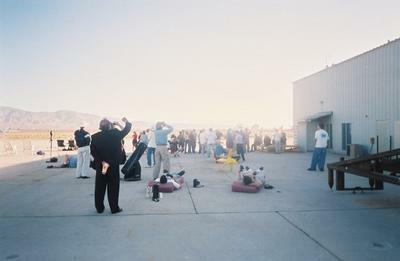 XCOR spectators watching for activity at Scaled Composites, a couple hangars down that-a-way. Low level chase plane (Coleman/Bird) taxi’s past on the way to the active. 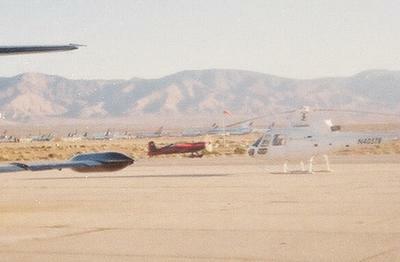 White Knight (Binnie and Stinemetze) with the underslung SpaceShipOne (Melvill) taxi’s past XCOR. 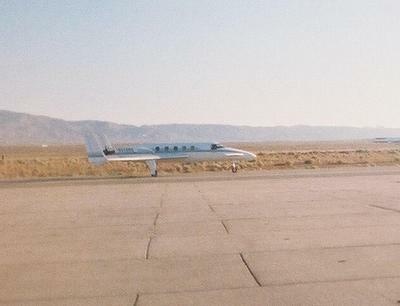 Rutan’s own Beech Starship (Karkow/Scherer), one of the last of its kind, on the way to the active. 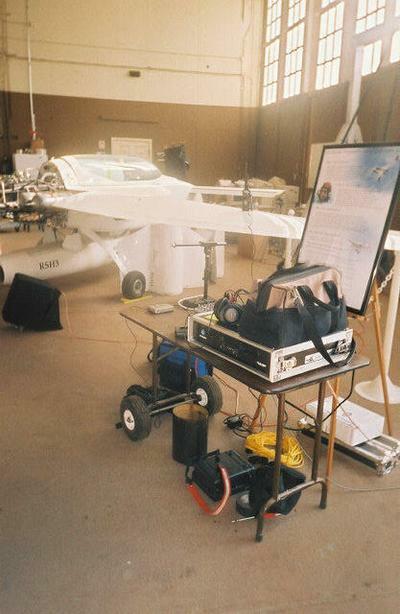 It is one of the high altitude chase planes. The Starship takes off. 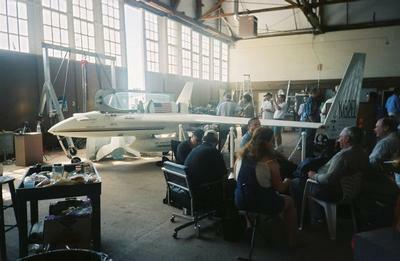 (Cockpit below it is a NASA T-38). 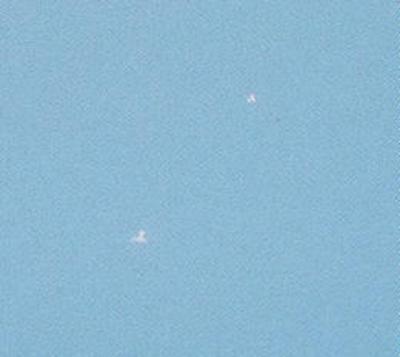 White Knight and SpaceShipOne in the air! 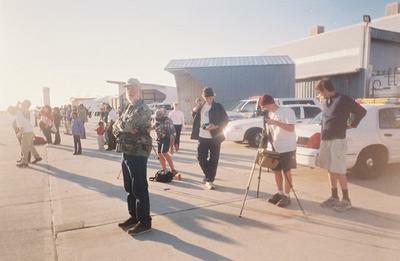 Crowd along the tarmac as I walked down towards the Control Tower. 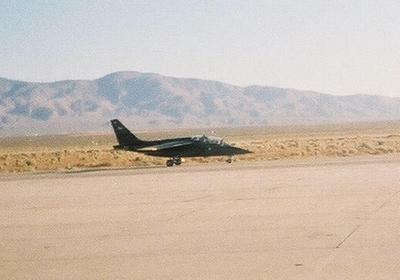 Alpha Jet (Van der Schueren/Johnson) on the taxiway. 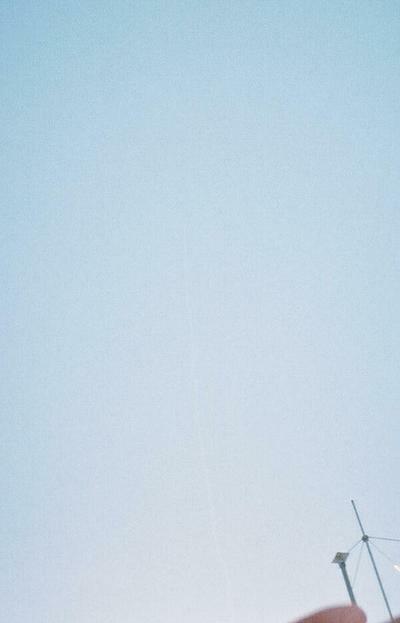 It is the second high chase plane. 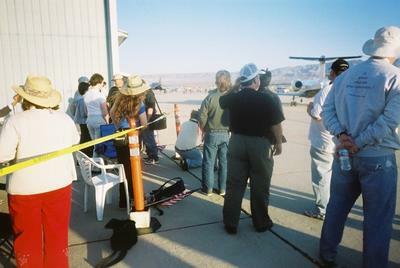 One of the XCOR people jury-rigged a walkie talkie on the flight frequency to a PA system so we could hear what was going on far above as we stood outside the hanger and watched. 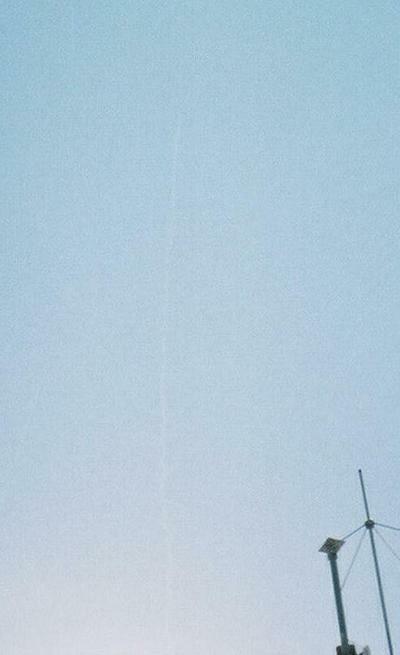 This was a good time for me to take a daylight shot of the XCOR EZ-Rocket. George Whitesides, center, is the new NSS Executive Director. 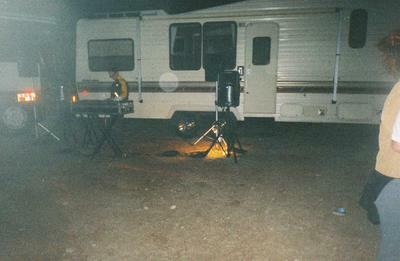 The outdoor, all-night RV/Disco/Keg party seems to have been his idea… I think I am going to enjoy his tenure! 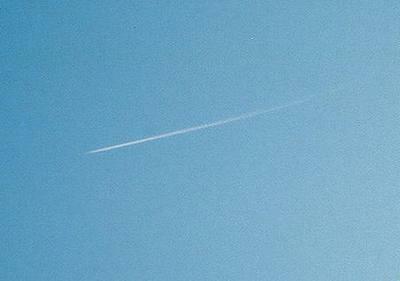 At 20,000 feet or so we could see contrails. 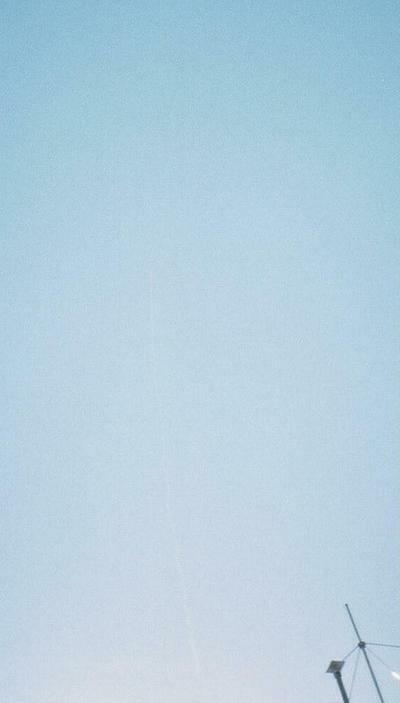 This made it a lot easier to find the little itsy bitsy dots way up there. Drop… and IGNITION!!! 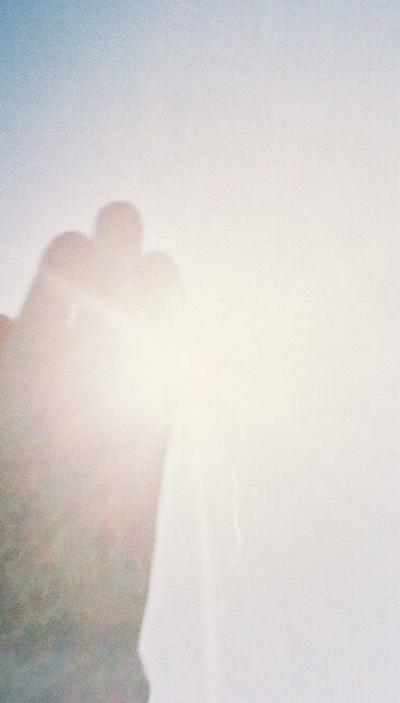 Unfortuneately they were coming out of the sun when they did so… thus my need for a handshaped occulting disk. and burned out a mere 75 seconds later. Then all we could do was listen to the cockpit chatter as Mike Melvill coasted over the top and into re-entry. It was a nervous time. Re-entry was the time I personally was most worried about. 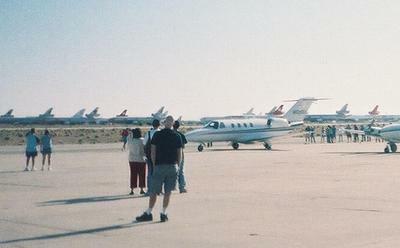 SpaceShipOne was well off the Mojave airport so it was awhile before we saw it. 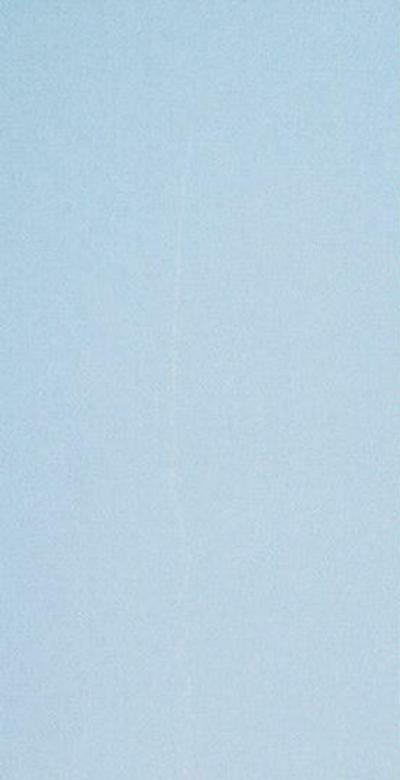 Here it is making a turn over the field as it dumps energy in preperation for the landing. 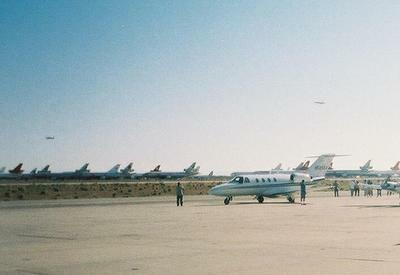 I believe SpaceShipOne is upper right and the Beech Starship is lower left. 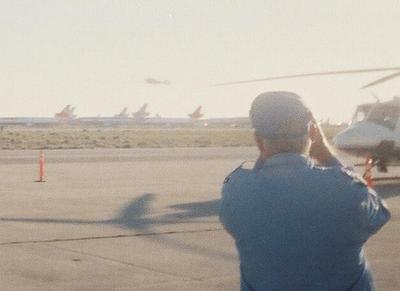 Starship and Alpha Jet (I am not absolutely certain of the identifications from looking at my blowups) come in low as SpaceShipOne glides into a landing. White Knight beats up the active on a victory pass. Somewhere against the background clutter of stored airliners there is a spaceship sitting on the runway where its rollout completed. 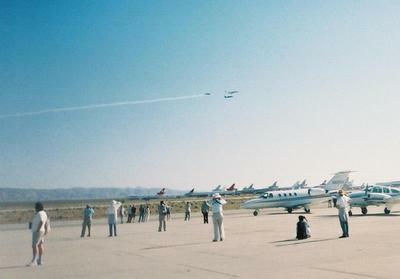 A formation pass of the three chase planes. 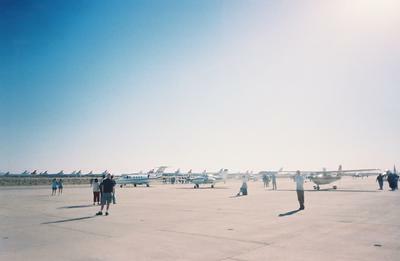 The smoke is from the aerobatic low chase plane; the other two are fast jets: the Alpha Jet and the Beech Starship. With all the media and potential investors floating around the airport, Jeff Greason (centre) felt it necessary to put on a disguise. 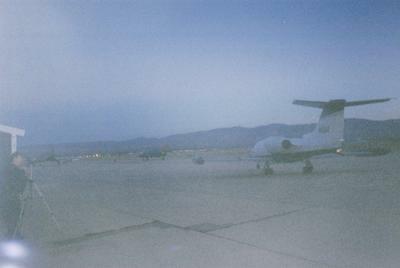 An atmospheric shot of the XCOR EZ-Rocket. 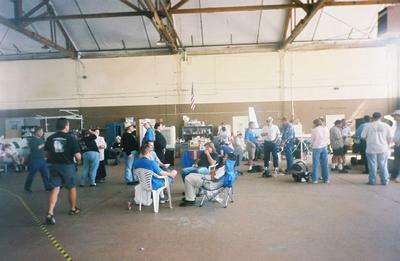 The crowd in the XCOR hangar after the flight. Two of the XCOR rocket scientists made icecream for us… mix milk and fresh strawberries in a blender, then stir continuously in a stainless steel bowl while an assistant pours in the Liquid Nitrogen… Took about 10 minutes altogether and tasted great. 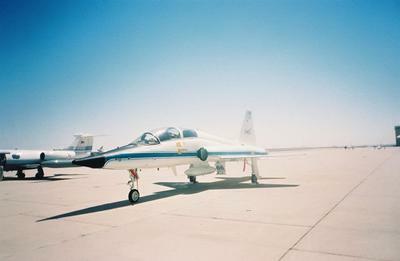 NASA T-38 flown in by an Astronaut. 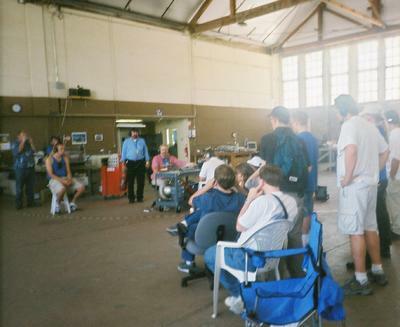 Doug Jones (at table in pink shirt) controlling an indoor demonstration firing of the teacart engine. Believe me, it is loud!!!! This engine will be part of the RCS on Xereus, their next step. George W is going to do a great job. Party for Space. He has a lobbying party that will begin on July 11th in DC. 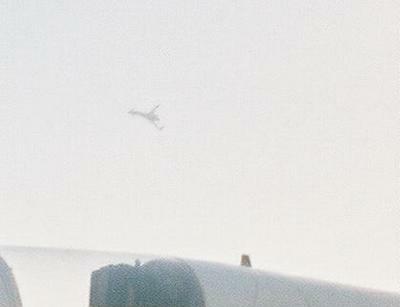 I believe that the plane in the lower left of 20040621-Roll-6520-CD1-17.jpg is the Starship. It better matches the visual profile, and I don’t remember White Knight being in the same field as SpaceShipOne on descent. Otherwise, great set of pictures (though I would have liked some pictures of the too quiet public P.A. system that was driving me absolutely crazy!). Nice pics. I seem to be in lots of them. but probably not recognisable 🙂 e.g. 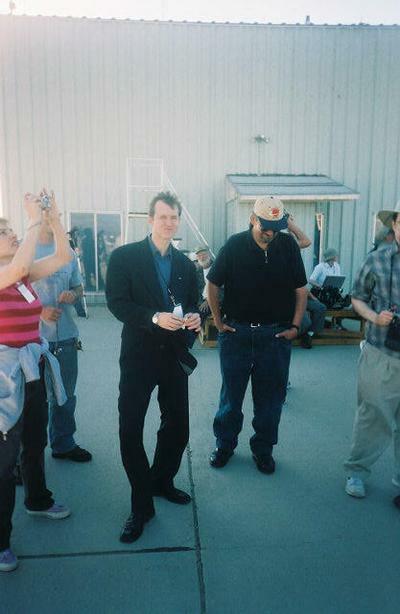 in both the “How many rocket scientists does it take to put out a burning barbie?” and “long shot of XCOR bbq” pics I’m in the distance sitting by the XCOR hangar wall with David42’s wife, Rita (who I hadn’t seen for approx 14 years). Thanks for the corrections. All extra details and corrections are more than welcome. Like most there, I was very short on sleep and although some details may have been obvious when I took the photos, a week later they are not… and the resolution of the digitized images from the developers in LA and Belfast is not good enough for me to see what I saw at the time. 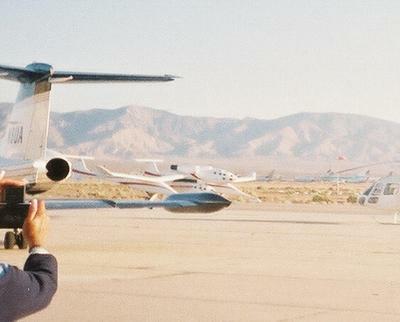 Particularly of interest: does anyone remember or know exactly where the landed SpaceShipOne is hiding in the cluttered background? Also, if you were in a photo, feel free to describe where and in which photo numbers. Make yourself a part of history! PS: This is only a tiny fraction of the photos I took. 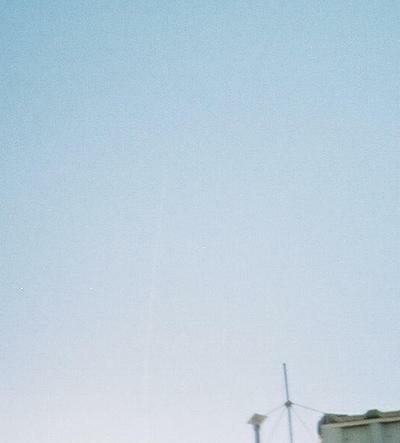 I shot 6 rolls during the trip, near 200 photos. That’s a great reel of pics you have there! I’m jealous! 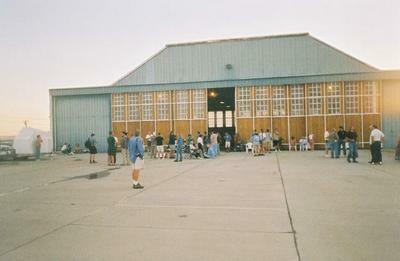 Another stupid nitpick: a garage for aircraft is a hangAr. A hangEr is the thing you put your coat on before storing it in the closet. Editor’s note: Well Pat, you really need to get out more. Closet, is that like a wardrobe? Wonderful, wonderful. 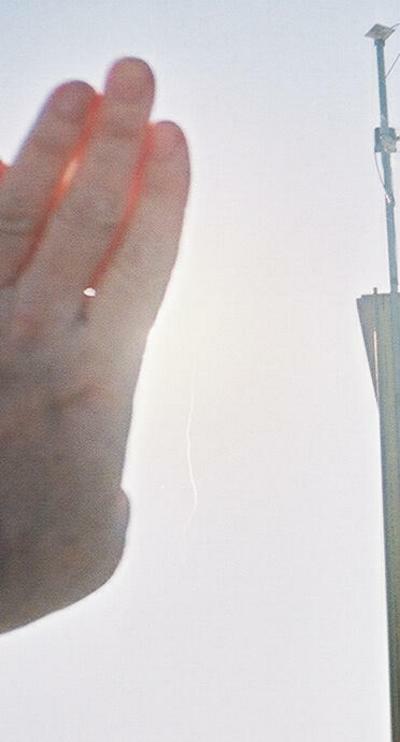 Thank you for all the time you have devoted to sharing the Spaceship One launch with us, Dale. This is truly an inspiring time in the history of man. I say that in the future, the more we can beat on our chests by scratching the heavens, the better! I have made several of the suggested corrections. This day was more historic than a lot of people seem to understand. Thanks for showing us what it was like. 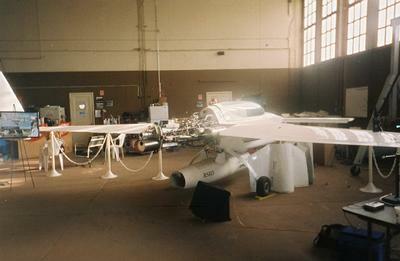 Rutan Rules. 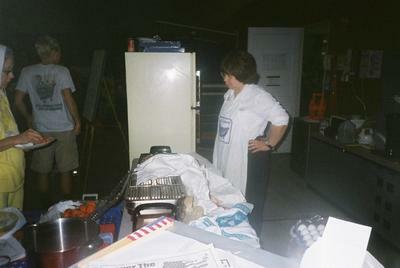 Well, Doug, I’ve got lots of good video footage of you making LN2 icecream. I’ll clean it up and put it on the web sometime soon. Great! Wish I was there but this is the next best thing. I met George in Chicago a few weeks ago, and you’re right. Yes, kudos to Team Rutan, but I call our attention to America, land of those free enough to shed the surly bonds of gravity and fly far into the boundless realms of space! 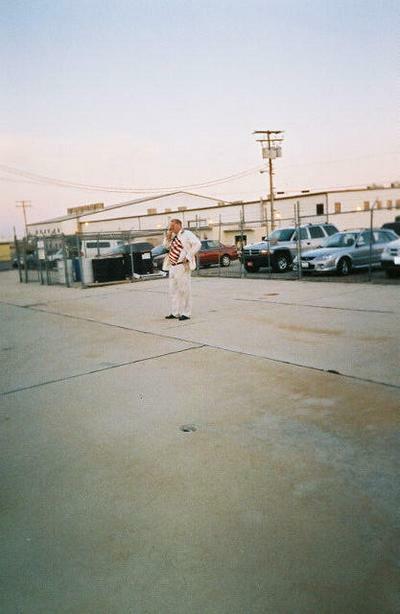 THIS is American! This is the fruit of responsible freedom! This is innovation!